Choosing the unique and perfect home decoration is not always easy; instead sometimes you face dilemmas when you should select the home ornaments in terms of aesthetic value or function. However, whether you are looking for tableware, Buddha statue, or rattan lamp, the ornaments that you display should show both elegance and style, exuding the fine-look and usefulness all at once. If you are fan of primitive art, please consider an inimitable primitive statue that could entice even the most discerning primitive art collectors. Apart from that, all the accessories as parts of your home decoration should work as true tribute to your classy lifestyle. Will a home-owner refuse to brighten his home with the budget-savvy home ornaments which combine practicality with stacks of style? We surely believe anyone won’t. Most people will desire their home decoration to evoke grace and artistic shape, like you can see on the ornaments such as box and basket, candle, rattan lamp, door stop, and more. In today’s market, it’s now easy to find these nice decorative and useful items. They are tastefully designed using the most durable material, resulting in a tough piece of wearable art, not just beautiful to be captured by the eyes or by a lens. 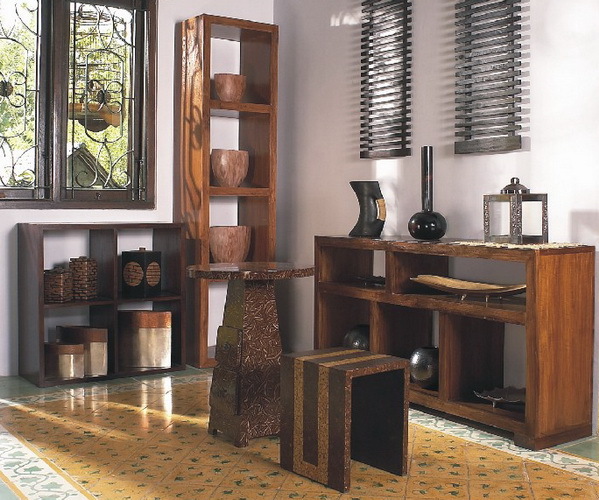 A typical or archetypal home decoration can also be used to express statement without saying a word. The refined ornament collections, from Java statue, lighting, screen, to copper lamp, all knows best how to boost the warmth of your interior design. Being functional, handy, and lovely are the most important characteristics possessed by each of them. We are proud to say that our collections are always ahead of the trends, making them worth grabbing especially for those value quality above all else. Last of all, with displaying these enchanting home-décor ornaments, you can live the spirit and uniqueness of the entire living space.